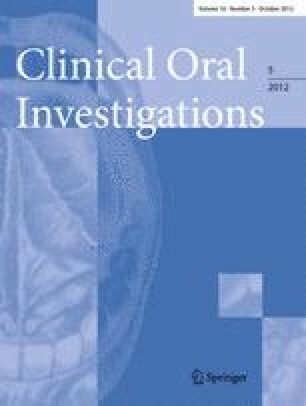 The aim of this retrospective study was to assess the incidence of postoperative hemorrhage in patients treated with coumarins without interruption of the anticoagulant treatment undergoing oral surgical procedures, mostly osteotomies for tooth removal, when compared with patients who had never been anticoagulated. Six hundred thirty-seven patients underwent 934 oral surgical procedures on an outpatient basis. The INR was measured preoperatively being 2.44 in the mean SD 0.61. Local hemostasis was carried out routinely (80%) with collagen fleece, local flap, and acrylic splint. Of these 637 patients, 47 presented with a postoperative hemorrhage (7.4%), 15 of these 47 cases had to be treated in hospital (2.4%). All patients showed up finally with a good wound healing, no administration of blood was necessary, and local measures revealed to be sufficient in all cases except for two patients, where the preoperative anticoagulant treatment had to be changed for 6 days. The bleeding incidence in 285 patients with comparable oral surgical procedures, who had never been anticoagulated, was 0.7%. The results suggest that oral surgical procedures can be performed safely without alteration of the oral anticoagulant treatment. Local hemostasis with collagen fleece, local flap, and acrylic splint seems to be sufficient to prevent postoperative bleeding. Wolfgang Eichhorn and Jens Burkert contributed equally.